New York: The Mysterious Press, 1990. 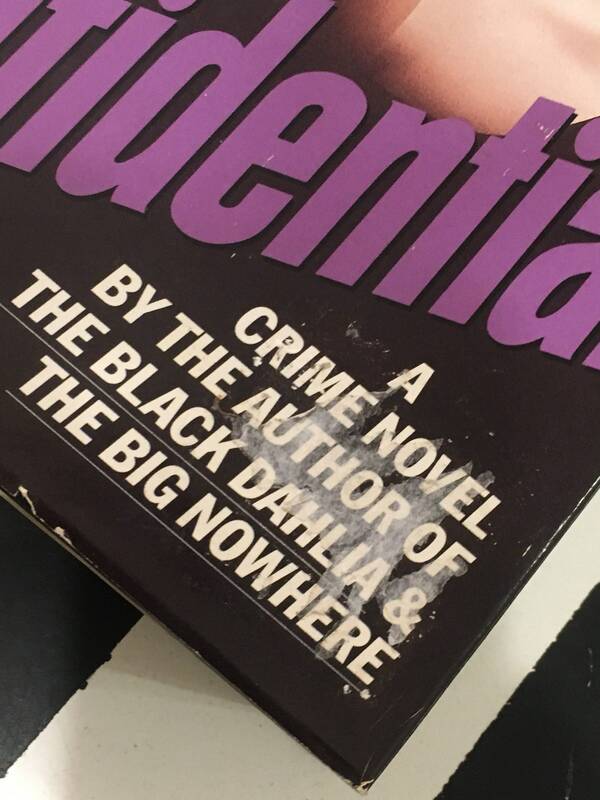 First book club edition. Hardcover. Large 8vo. Black boards with silver lettering. 496pp. Fair condition. 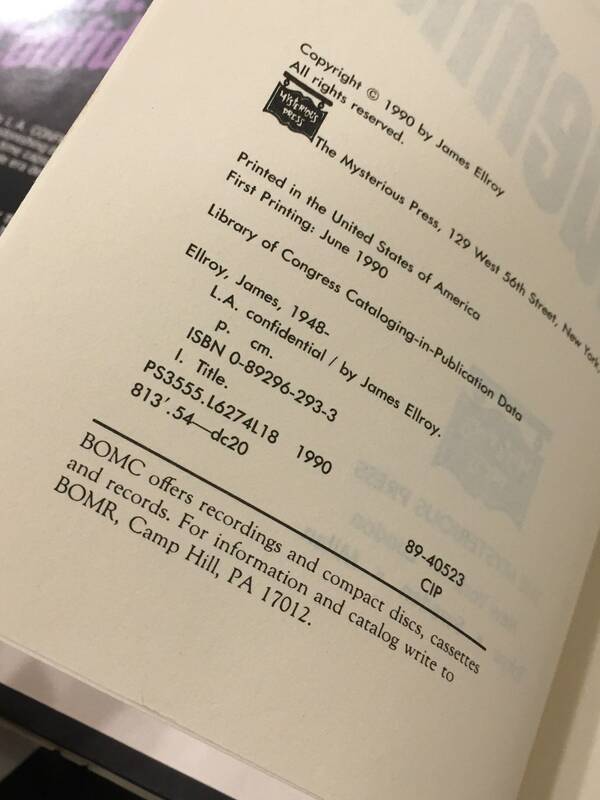 Binding is very slightly rolled. 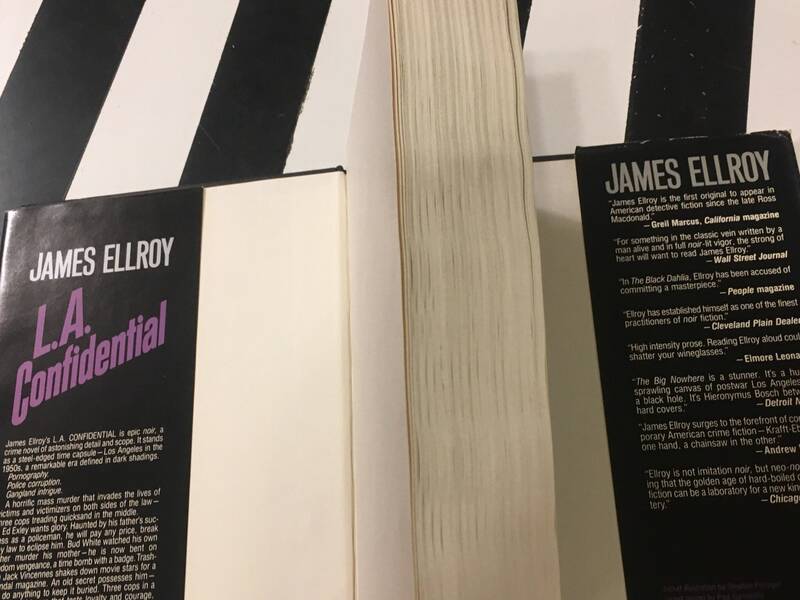 Some creasing/dog-earing to edges of pages. 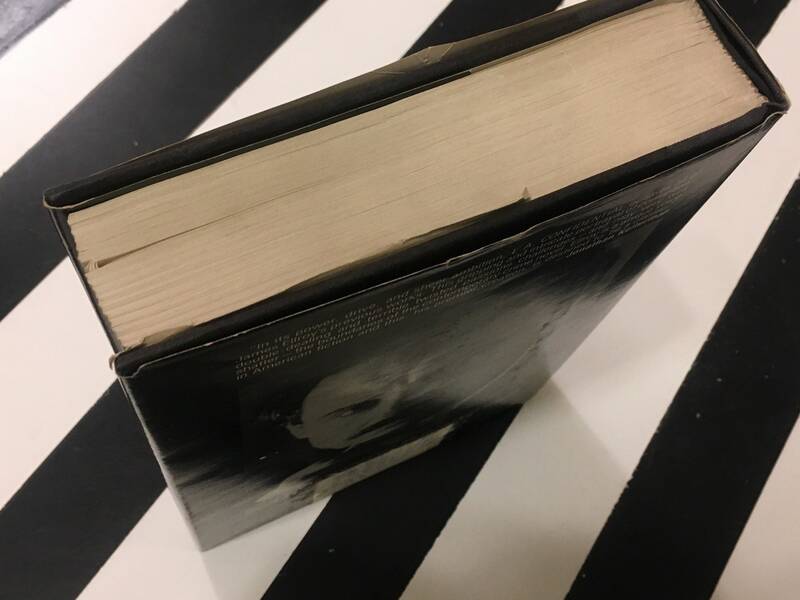 Creasing, toning, foxing, smudging, scratching, and areas of discoloration to the inner boards, endpapers, pages of the text, and the text-bock edge. 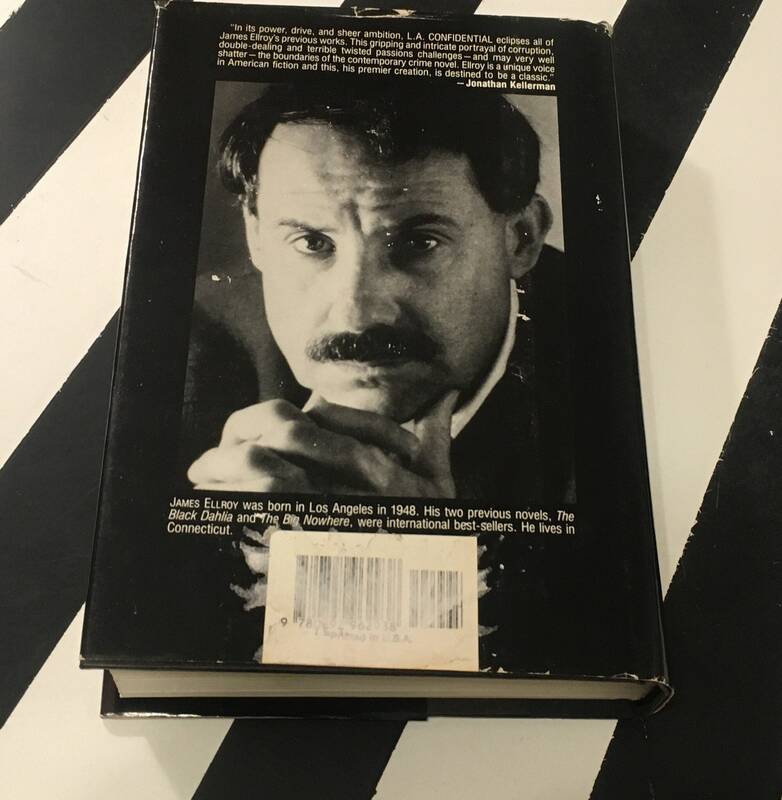 The dust jacket is not priced and is in fair condition. 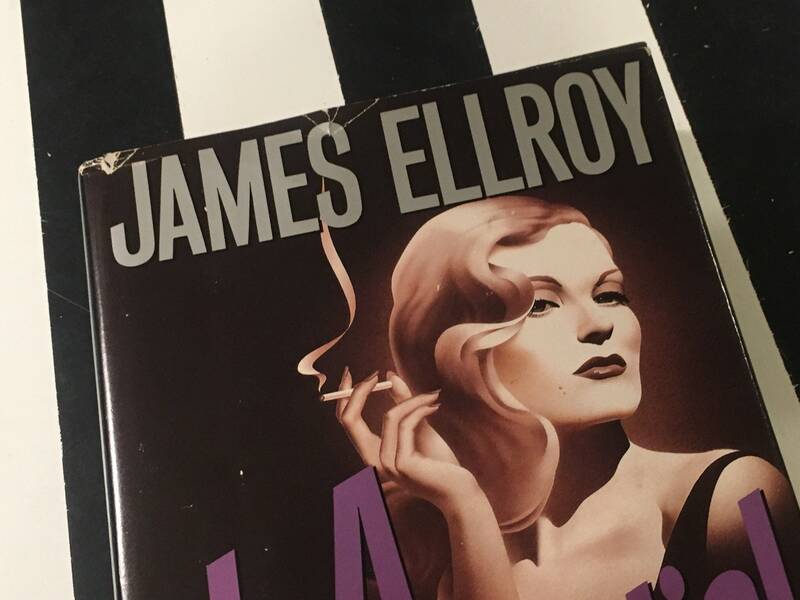 Sticker residue to the lower edge of the front/rear of the dust jacket (see photos). Shelf-wear. Chipping/open tears to corners/hinges. 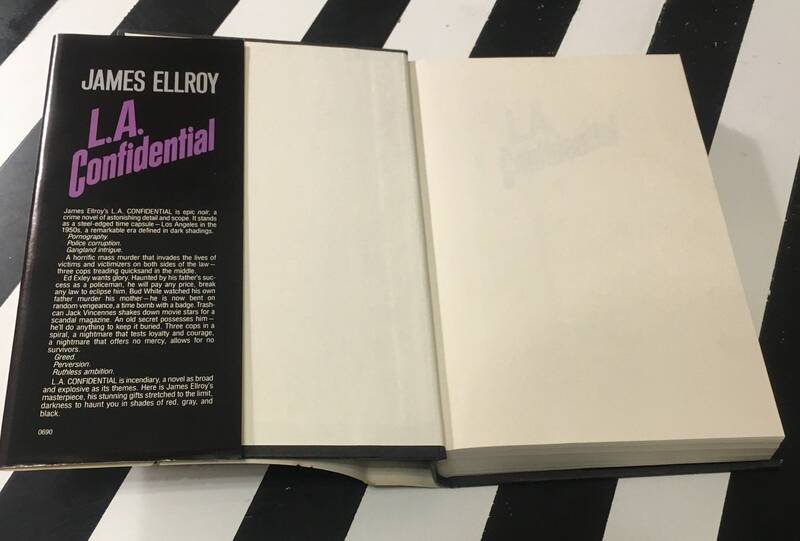 Creasing, scratching, foxing, rubbing, and areas of discoloration to all faces of the dust jacket. 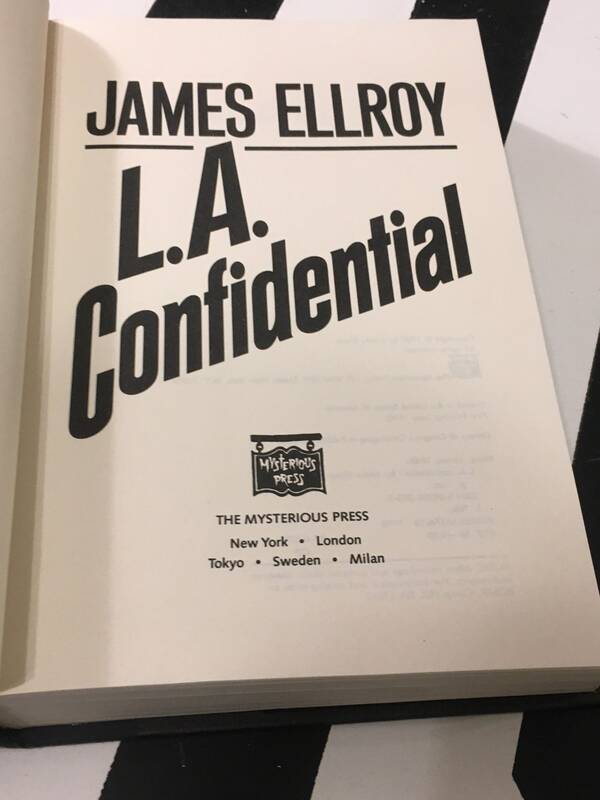 L.A. 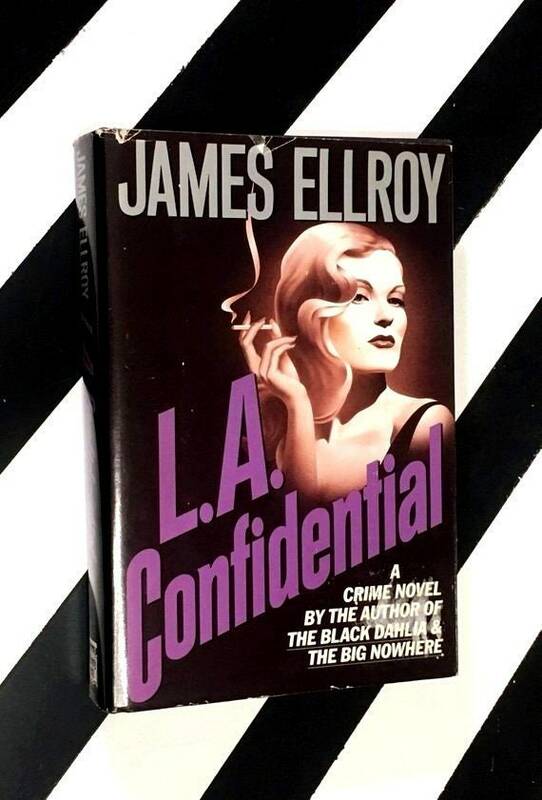 Confidential is the classic noir novel by James Ellroy. 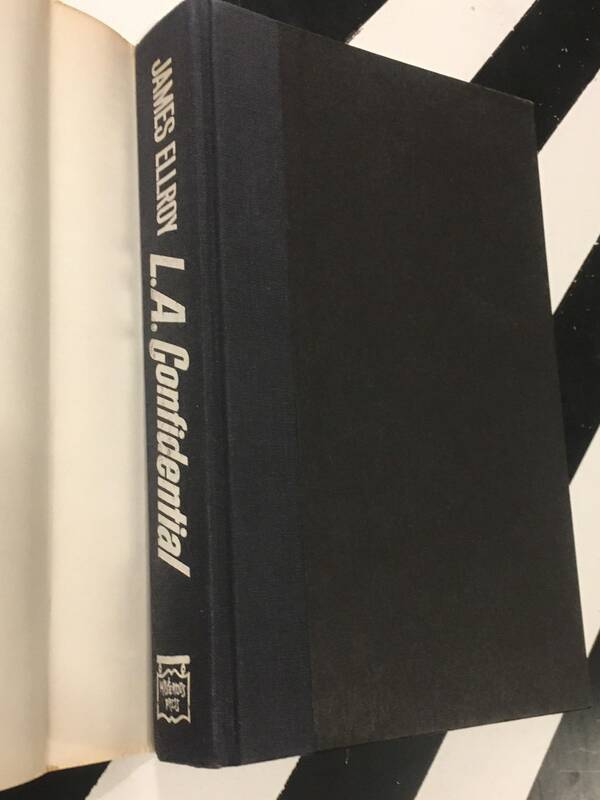 It is the third book in Ellroy’s L.A. Quartet and the basis for the well-received 1997 film starring Kevin Spacey, Russel Crowe, Guy Pierce, Danny DeVito, and Kim Basinger.